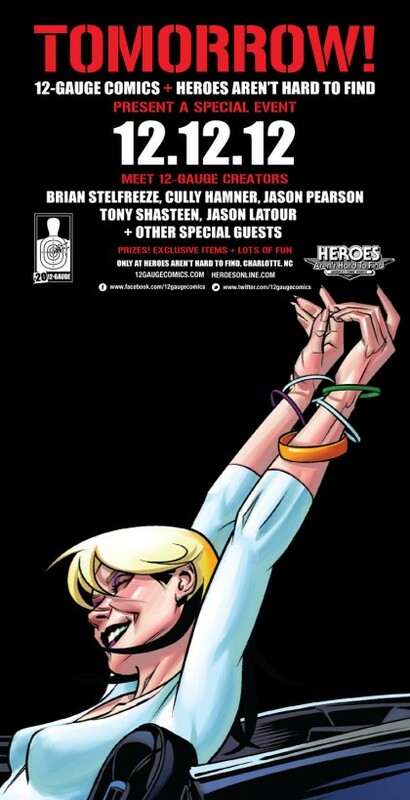 THE HEROESONLINE BLOG | 12.12.12 SIGNING EVENT & HOLIDAY SALE :: TOMORROW! 12.12.12 SIGNING EVENT & HOLIDAY SALE :: TOMORROW! The above features a teaser of the exclusive new 12.12.12 poster Brian Stelfreeze created for this event (FREE to all attendees tomorrow!) We’re starting our Big Holiday Sale tomorrow too! Get here early for the best selection!